Comprando este producto consigues 0,33 € con nuestro programa de fidelización. Tu carrito acumularía 0,33 € que podrás convertir en un vale de descuento. Confront the creatures that go bump in the night! 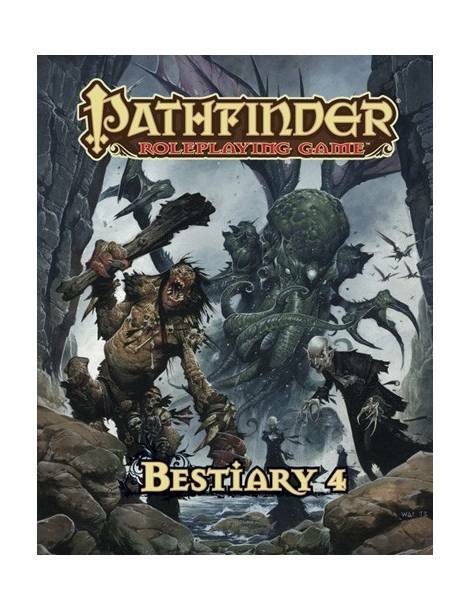 Bestiary 4 presents hundreds of new monsters for use in the Pathfinder Roleplaying Game. Within this tome of terrors youll find pitiless psychopomps and blood-drinking nosferatu, insectile formians and faceless nightgaunts, and even unique mythological horrors like Spring- Heeled Jack and Grendel himself. Yet not every creature need be an enemy, as mighty empyreal lords, primeval outer dragons, and valorous swan maidens enlist you in their epic battles! 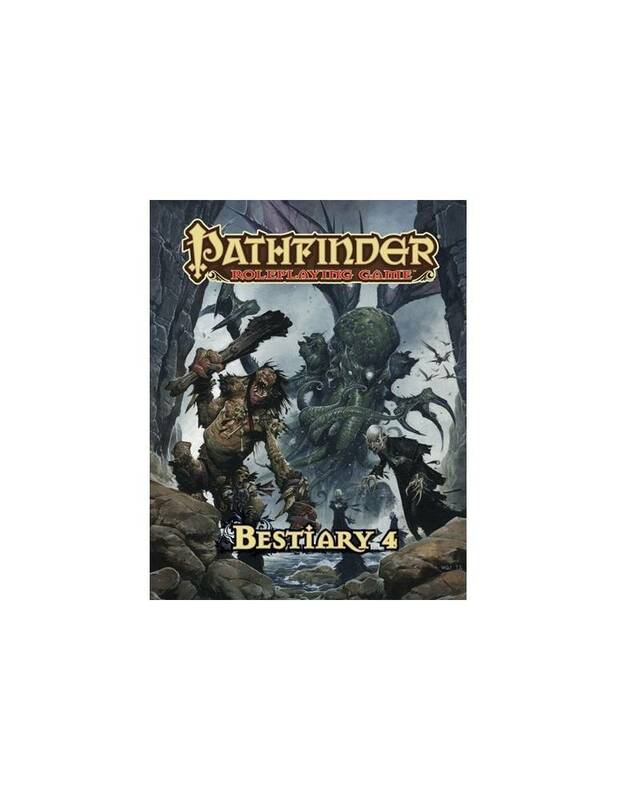 Pathfinder Roleplaying Game: Bestiary 4 is the fourth indispensable volume of monsters for use with the Pathfinder Roleplaying Game and serves as a companion to the Pathfinder Roleplaying Game Core Rulebook and Pathfinder Roleplaying Game Bestiary.